The plant has a long history of medicinal use by the native Guaraní tribes, having been used extensively by them for more than 1,500 years. The leaves have been traditionally used for hundreds of years in both Brazil and Paraguay to sweeten local teas and medicines, and as a “sweet treat”. Stevia is a small perennial herb belongs to the Asteraceae family of the genus Stevia. Its scientific name is Stevia rebaudiana. Some commonly known names are honey leaf plant, sweet chrysanthemum, sweetleaf stevia, sugarleaf…etc. The stevia plant grows 2-4 feet in height with slender, branched stems and flourishes well all over temperate and some parts of tropical regions. It is being cultivated as commercial crop in Japan, China, Thailand, Paraguay, and Brazil.. Almost all the parts of the plant taste sweet; however, the sweet glycosides are typically concentrated in its dark-green serrated leaves. The Guarani Indians of Paraguay have used its leaves to sweeten drinks and foods and in various traditional medicines for hundreds of years. In modern times, it is widely used in foods all over the world. Stevia herb parts are very low in calories. Its dry leaves are roughly 40 times sweeter than sugar. The sweetness of sugar in stevia is due to several glycoside compounds including stevioside, steviolbioside, rebaudiosides A-E, and dulcoside. Stevioside is a non-carbohydrate glycoside compound. Hence, it lack of properties that sucrose and other carbohydrates have. 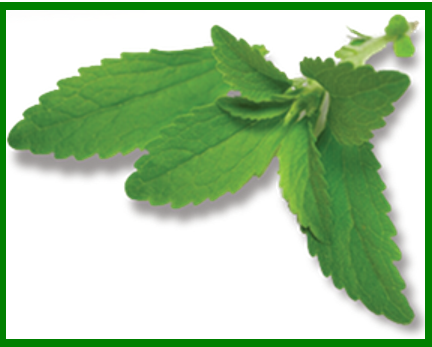 Stevia extracts, like rebaudioside-A, are found to be 300 times sweeter than sugar. In contrast to sugar, however, stevia extracts have several unique properties such as long shelf life, high temperature tolerance, non-fermentative; but contain near-zero calories. In addition, stevia plant has many sterols and antioxidant compounds like triterpenes, flavonoids, and tannins. Some of flavonoid polyphenolic anti-oxidant phyto-chemicals present in stevia is kaempferol, quercetin, chlorogenic acid, caffeic acid, isoquercitrin, isosteviol…etc. Studies found that kaempferol can reduce risk of pancreatic cancer by 23% (American journal of epidemiology) . Stevia extract has been in use by native South Americans (where it is known as caa-he-éé or kaa jheéé) to reduce weight; to treat wound infections, inflammatory conditions, swelling in the legs and as a tonic to treat depression. 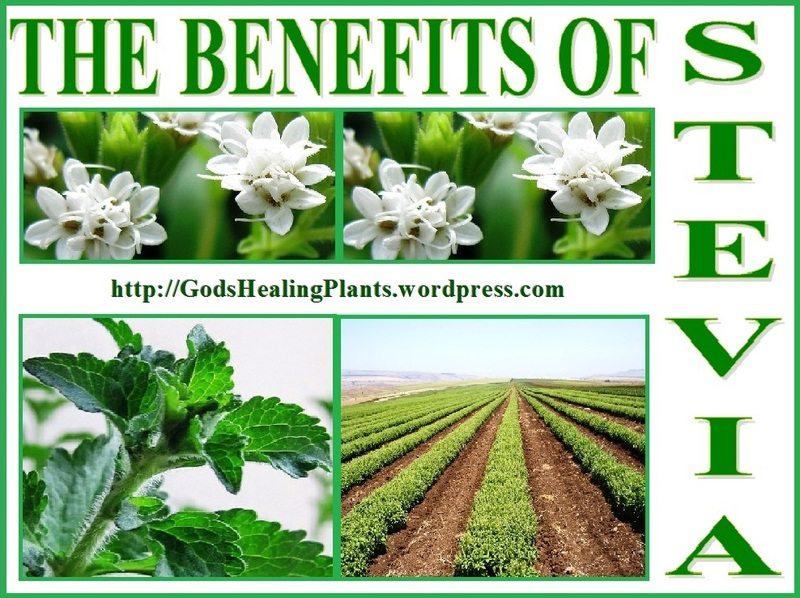 A number of studies show that Stevia can be beneficial in the treatment of many health conditions. Stevia is believed to have anti-bacterial, anti-septic, anti-microbial, anti-oxidant, anti-glycemic, and anti-hypertensive properties which may help with hypertension (high blood pressure), diabetes, chronic fatigue, indigestion, upset stomach, heartburn, weight loss, cold and flu, gingivitis, tooth decay, cavities, dandruff and hair loss, brittle bones or osteoporosis, streptococcus, candidiasis, bacterial infections and skin conditions such as cuts, wounds, rashes, itchiness, blemishes, acne, seborrhea dermatitis, dermatitis, eczema, and wrinkles. It may also improve energy levels, strengthen immune system, stimulate mental activity, and may also help in withdrawal from tobacco and alcohol addiction. Dandruff and Hair Health: Stevia concentrate is believed to be beneficial for dandruff, dry scalp, and dull, dry and thin hair. People have noticed stronger, dandruff-free and rejuvenated hair after the regular use of Stevia. Simply mix 3-4 drops of Stevia concentrate into your regular shampoo and wash as normal. Also, after shampooing, using stevia tea as a conditioner and rinsing it out after 5 minutes can help retain natural hair color and strength. Diabetes: Studies and researches show that Stevia may stabilize blood sugar levels, increase insulin resistance, may even promote insulin production by promoting the pancreas health, discourage glucose absorption in the blood, and inhibit candidiasis – a yeast infection that flourish with sugar. Stevia is a great low carbohydrate, a low calorie sugar alternative and the steviol glycosides are not metabolized by the body and are excreted in the urine without getting accumulated in the body. A Study also suggests that Stevia may inhibit the craving for sweet and oily or fatty foods. Drinking tea made with crushed raw Stevia leaves or with its extract or tea bags two to three times daily may help with hyperglycemia. To make Stevia tea, heat – not boil one cup of water and let a tea bag or 1 teaspoon of its leaves steep in it for 5 -7 minutes. Drink it hot or cold. Or 3-4 drops of Stevia extract can be added to warm or cold cup of water. Also stevia can be used as a natural alternative to any other artificial sweetener being used. And it is much better for your health. Gingivitis: Study shows that antibacterial properties of Stevia may help with gingivitis, cavities, tooth decay and mouth sores. It may suppress the development and reproduction of infectious organisms in the gums and teeth, inhibit the growth of plaque and may improve overall oral health. People who have used Stevia as a mouthwash have reported significant decrease in gingivitis and other mouth infections. Simply gargling with Stevia mouthwash and brushing with Stevia added to the toothpaste may be beneficial. To make Stevia mouthwash, add 3-4 drops of Stevia extract in half a cup of lukewarm water or steep half a cup of tea with its leaves or teabag and gargle three to four times daily especially in the morning and at night. For toothpaste, mix 2 drops of Stevia extract to the regular toothpaste. Heartburn and Indigestion: People in Brazil, Paraguay and Bolivia have been using Stevia tea to soothe upset stomach, heartburn, and to improve indigestion and gastrointestinal function. Drinking Stevia tea after every meal may serve as a digestive aid and relieve heartburn and stomach pain. High Blood Pressure (Hypertension): A few longer term studies done over a period of 1 and 2 years show that stevia may lower elevated blood pressure levels. Simply drinking Stevia tea twice daily may help stabilize the blood pressure levels. Osteoporosis: A study performed on chickens shows that by adding Stevia leaf powder to chicken feed it significantly increased calcium metabolism in the chickens and had 75% decreased eggshell breakage. A patent application for possible Osteoporosis treatment with Stevia suggests that stevia may help promote absorption of calcium in the body and help improve bone density. Suggested remedy is to make Alfalfa and stevia tea by steeping half teaspoon each for 5-7 minutes. Drink it two to three times daily. Adding vitamin D powder to the tea or taking its supplements can be beneficial too. Weight Loss: Recent medical research suggests that being low at carbohydrates, calories and sugar Stevia may be beneficial in weight management. One preliminary research suggests that Stevia may interfere with the functions of hypothalamus and may aid weight loss by curbing the hunger sensation. Hypothalamus is a part of the brain which controls hunger, thirst and fatigue along with its other functions. Anti-glycemic activity of Stevia may also control blood glucose levels which is one of the major causes of weight gain. 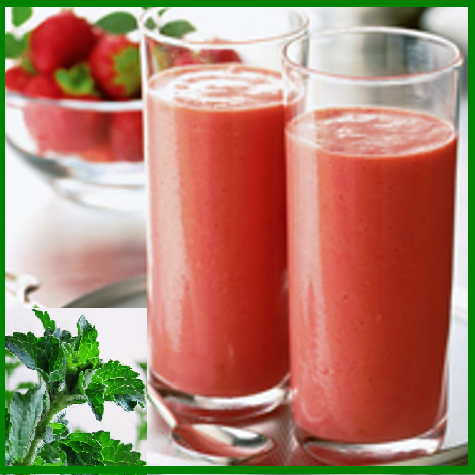 Stevia works as a tonic to increase energy levels in people battling for weight loss. Suggested remedy is to drink one cup of Stevia tea or mix 10-15 drops of Stevia concentrate in one cup of cold or warm water. Drink it 15 minutes before every meal. Wrinkles and Other Skin Conditions: Stevia is believed to be a remarkable healing agent for skin disorders. Its antioxidant, antibacterial and antiseptic activity may help with wrinkles, skin blemishes, dermatitis, eczema, acne outbreaks, scarring, rashes, itchiness and chapped lips. A small amount of Stevia concentrate applied directly onto the affected skin may promote the healing process. To smooth out the wrinkles, before going to bed, apply a paste made by crushed Stevia leaves or its liquid concentrate evenly all over the face and let it dry for fifteen to twenty minutes. Wash and pat dry your face and apply a few drops of extra virgin coconut oil on the face and leave it on over night to benefit from its antioxidant effects. 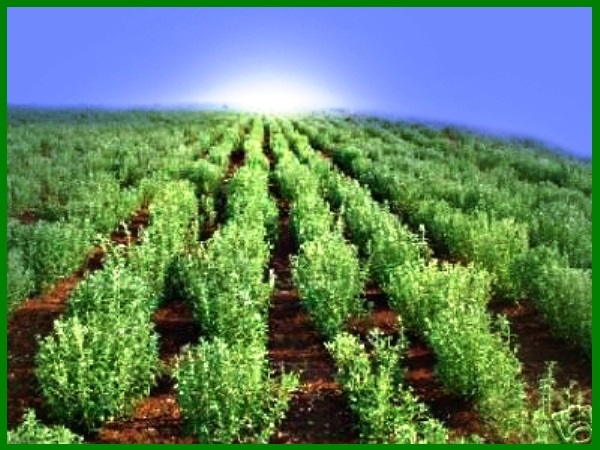 In its natural habitat, stevia plant leaves are harvested when required. However, most of stevia that is made available in the markets is grown under green house conditions or at least in supervised farming. 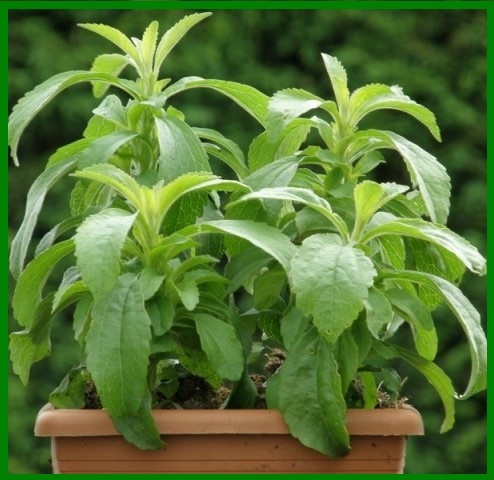 If you grow your own stevia plant in the backyard, pick leaves with short stem for immediate use. In general, fresh leaves are sun-dried, powdered and stored in an airtight container for future use. To store, place it in cool, dark, humid free place, like you do for other dried herbs, where it will stay fresh for several months. 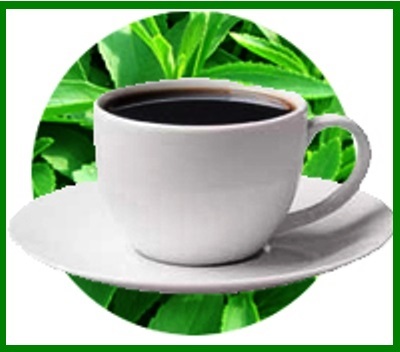 Fresh stevia plant leaves can be used directly in drinks as sweetener. However, most often its dried powder or stevia syrup that is used in cooking. 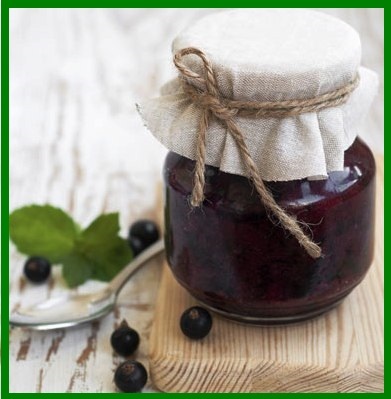 You can also make stevia syrup by adding a cup of hot water to 1/4 cup of fresh, finely crushed leaves. This mixture is allowed to settle down for 24 hours, filtered, and then refrigerated. You may also want to buy stevia sugar which is a white, crystalline powder, approximately 300 times sweeter than cane sugar. Use to sweeten tea sweets, sauce, confectionary, and soft drinks. There are not any reported side effects of Stevia when taken in moderation. It has been used by Guarani tribes of Paraguay for centuries without any adverse effects. Based on intensive global researches and scientific reports, The World Health Organisation (WHO) of the UN and Food and Drug Administration of the US had approved the use of Steviol glycosides as safe and has established an acceptable daily intake of 4mg per kg of body weight. If you are taking any medication or are pregnant or breastfeeding, consult your physician before using Stevia therapeutically. on Television, so I simply use the web for that reason, and get the newest information. Glad you found the information you needed. Blessings.